Meatloaf immediately became the embodiment and epitome of American food in my eight-year-old head and it still is. For those of you who think of Puerto Rican, or Asian, or Italian food as ethnic, I have news for you. Your food is ethnic too! Meatloaf, green beans, and mashed potatoes are their own form of American flag, sitting plumply and solidly on the blue plate special. And meatloaf, with its incredible adaptability, can be adapted and adjusted to any American table, no matter where your ancestors came from. 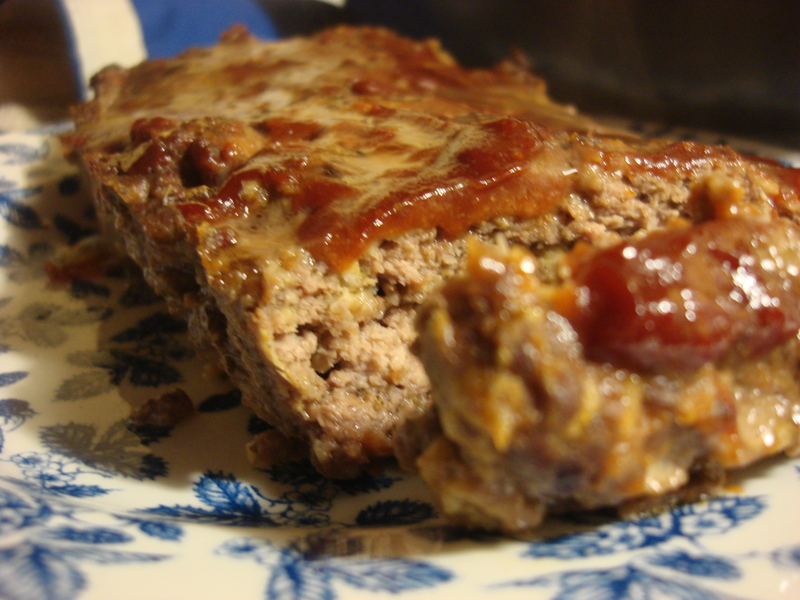 At this time of national grief, it seems the right time for meatloaf. Simple, stodgy, reliable, comforting, resilient, inclusive. It makes sense to gather around the table together around one right now. Here is a very simple version that I hope will make you feel better. In a large bowl, combine all the meat, meatloaf seasonings (reserving 1 Tbs ketchup) and breadcrumbs. Add the whole egg and mix just enough to combine well, but don’t squeeze the meat. 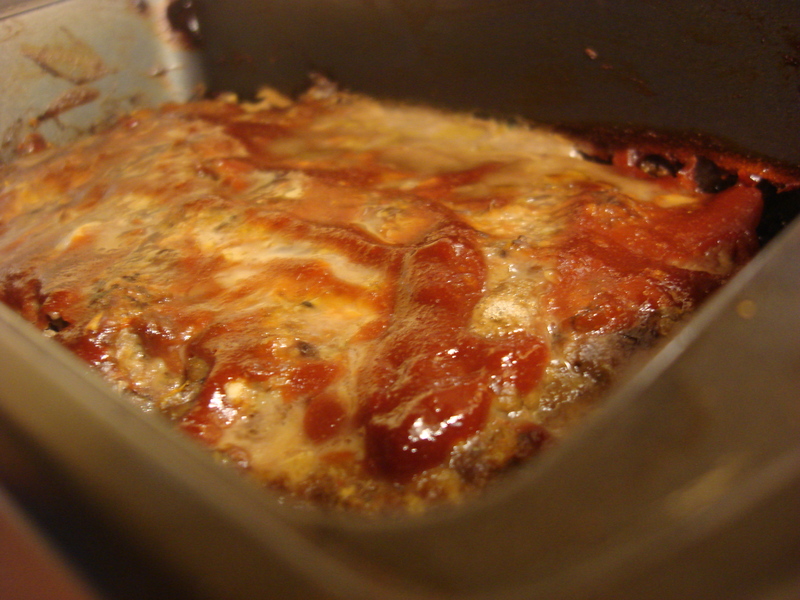 Use the second Tbs of ketchup to grease a 9”x5” loaf pan, then place seasoned meat into pan and spread evenly. Place in oven. Cook for ten minutes while you make the glaze. In a small bowl, combine all the glaze ingredients (adding a pinch of cayenne pepper if you like) until smooth. After the meat has been cooking ten minutes or so, spread it with the glaze using a brush or spoon. Cook meatloaf for an addition 40-45 minutes (glass pans will require the longer time) or until the center registers 155˚F on a meat thermometer. Slice and serve with potatoes and roasted veggies or on sandwiches. I have had many a dire meatloaf. I have had a few good ones. This fits the latter by the looks of it. Nice post. Nice sentiment. Thanks Conor! I never order meatloaf out…just for reasons of potential direness! Love this post. Funny I made meatloaf this weekend too. Have you click on the first meatloaf link? Try it and see….